Rediff.com » Movies » These Bollywood men are tricky! These Bollywood men are tricky! Sometimes the phrase 'movie magic' is taken literally. Indian cinema's seen its share of magicians, and while (most) actors haven't exactly donned the top hat and white gloves to saw a girl in half or take a rabbit out of a hat, they've done their own share of prestidigitation. In Sujoy Ghosh's upcoming Aladin, Ritesh Deshmukh plays the new-age Aladin while Amitabh Bachchan plays the genie called Genius. But every good fairy-tale must have a baddie, and this time it's Sanjay Dutt who plays an evil wizard called Ring Master, a former genie himself. Much is under wraps about the story of Sanjay Leela Bhansali's Guzaarish, but the film is said to be 'inspired by' Christopher Nolan's The Prestige, a story of two rival magicians. 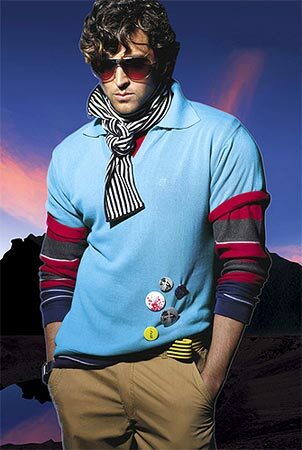 Hrithik Roshan, it is rumoured, will play a magician in the film. This Prakash Mehra film told the story of a magician (Bachchan) out to stop another magician (Amrish Puri) who was posing as a godman and exploiting naive villagers. Amitabh's Goga was a showman to the core, right from the crazy jackets to the sawing-off-women, and while his tricks might have worked on stage, the film didn't. 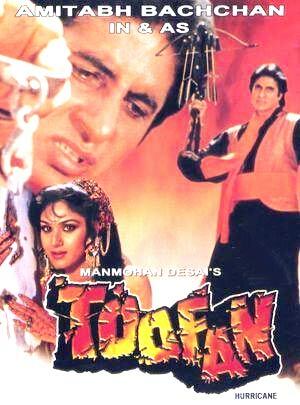 Oddly enough, almost immediately alongside Jaadugar came Ketan Desai's Toofan, featuring Bachchan in a double role, as both a masked crimefighting bounty hunter as well as a fun-loving magician and trickster. 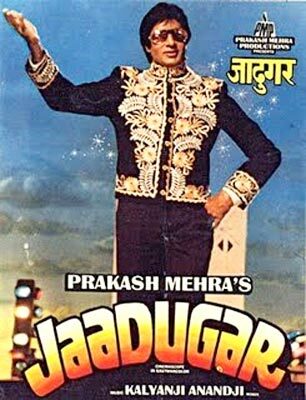 Kids loved Bachchan's Shyam Jaadugar, one who could turn wood to rope and coffee to lassi. In Shashi Kapoor's lavishly produced kiddie fantasy, Shammi Kapoor played the kind Sultan of Baharistan. 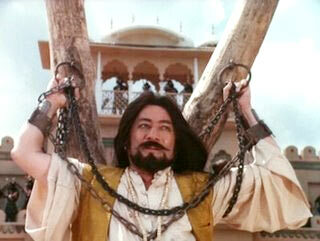 And like every medieval court, his too has a magician, played here by Saeed Jaffrey. Jaffrey's Ameer Baba gives the Sultan a magic sword and drives it into a stone pillar, making room for an Excalibur-like legend. In Srinivasa Rao Singeetham's classic silent comedy, all the attention is on the wily Kamal Haasan and the diabolical Tinnu Anand, but that's just a conjuror's trick as Haasan falls in love with a magician's daughter, played by Amla. The magician himself was played by KS Ramesh, ensuring complete believability. Goldie Behl's massively-budgeted superhero fantasy flop was filmed in Prague, Bikaner, Maharashtra, Rajasthan, and Namibia -- and stayed away from actual scriptwriters throughout all those locations. 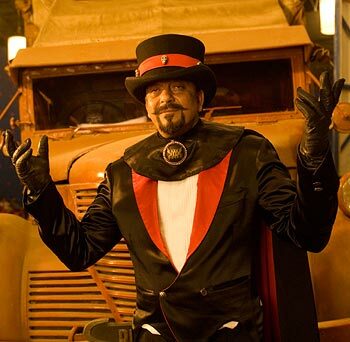 Anyway, Kay Kay Menon was a part of this Abhishek Bachchan vehicle, playing an evil magician called Riz Raizada.